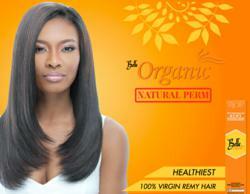 In addition to the major brands of hair manufacturers, Hair Stop and Shop, now carries hair products by Femi Collection. The new brand offers human hair and synthetic hair lace wigs, weaving hair and hair pieces. For more than two years now, HairStopandShop.com , has provided customers with the most popular brands of hair products such as Model Model, Janet Collection, Motown Tress and Silhouette. The online retailer has now expanded its line of products by including Femi Collection in its list. Femi Collection is a brand of hair products that appears to be well known in the Southern part of the East Coast. Femi Collection is based out of Georgia and its products are easily found in Atlanta and other metropolitan areas. Being an authorized retailer for Femi Collection, HairStopandShop.com is able to provide some of the highest quality remy hair on the market. For a start, customers can now find Femi Collection’s LaBelle line of remy hair weaving, for example: LABELLE Organic Natural Remy weaving and LABELLE Remy Yaky weaving. Femi Collection is also famous for its special hair product EZ Weft. Ez weft is a unique weaving system that allows complete remy hair extension without sewing. Some of the best features of the Ez weft system are: no damage to user’s own hair, reusable, no sewing needed. Overall, adding Femi Collection to Hair Stop and Shop’s brands list, is a step to benefit current and potential customers. And it seems that customers are already raving about Femi Collection products on YouTube.